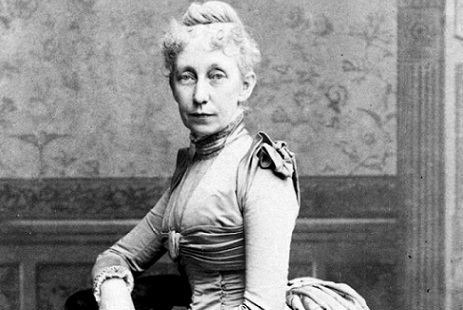 Elizabeth Somers, founder of the Mount Vernon Seminary, in a photograph taken circa 1880. In 1868, Mrs. Somers began teaching in her home, creating a legacy of education for women that continues today in the Women's Leadership Program. 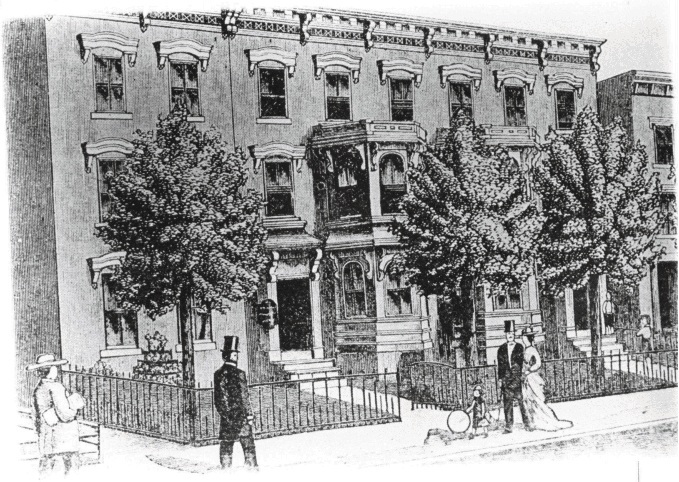 A drawing of the original Mount Vernon Seminary building at 204 F Street NW. The building was Elizabeth Somers' home and she began the school in 1868 when she accepted Judge Dennis Nelson Cooley’s three young daughters as her first students. 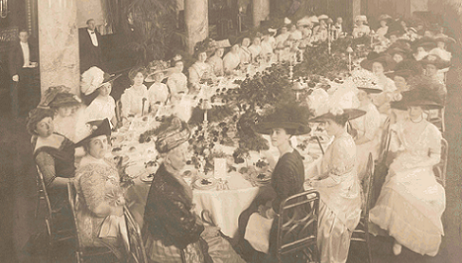 The senior banquet at the Willard Hotel in 1910. Mrs. Somer was seated in front. Graduation photograph from the Mount Vernon Seminary. Mount Vernon Seminary students enjoy an excursion to the Capitol, circa 1900. Mrs. Somers believed in using the resources available in Washington, DC as a part of the education her students received. This tradition is continued today in the Women's Leadership Program. Mount Vernon Seminary outgrew its downtown location in 1917 and moved to a campus located on Nebraska Avenue NW. This image shows students in front of the Nebraska Avenue campus building. 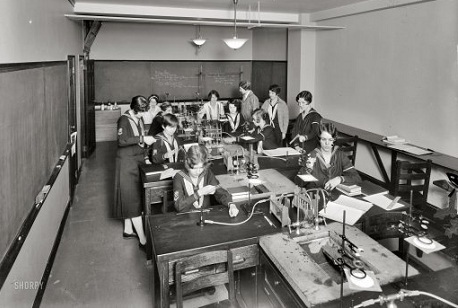 Freshman in chemistry class at Mount Vernon Seminary in 1925. A "sewing lab" at Mount Vernon. 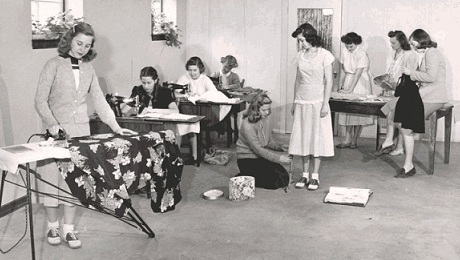 While home economics was considered an important part of women's education, Mount Vernon Seminary and College also emphasized rigorous academic courses. 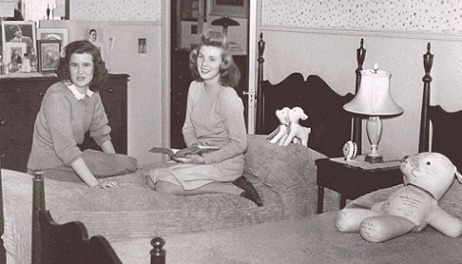 Jean Galigher (Seminary '44) and another student in their dorm room at the Mount Vernon Seminary. 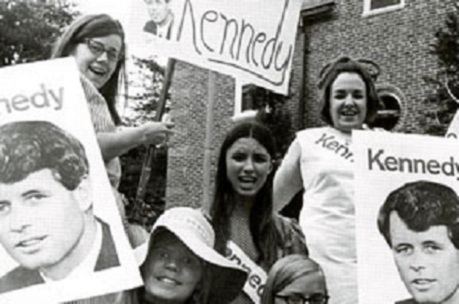 Mount Vernon College students rallied for Robert F. Kennedy in 1968. The EJS Women's Leadership Program traces its roots back to 1868 and is a part of the legacy of Elizabeth J. Somers, who played an important role in promoting women's education. In 1868, Mrs. Somers began tutoring the daughters of prominent Washingtonian Judge Dennis Cooley who wanted his daughters to be prepared to attend Vassar College. As word of Mrs. Somers' tutoring spread, the small operation she ran out of her home began to grow as more families chose to educate their daughters and prepare them for higher education. In 1875, Mrs. Somers officially opened a school and named it the Mount Vernon Seminary after her brother’s church. 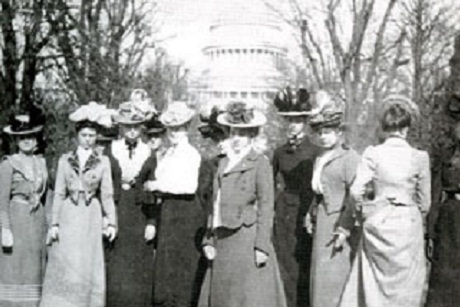 The Mount Vernon Seminary was the only institution in Washington, DC to offer secondary education to women at the time and it soon earned an esteemed reputation for rigorous academic and refined social education. Its reputation attracted the daughters of prominent families from both Washington, DC and around the world. 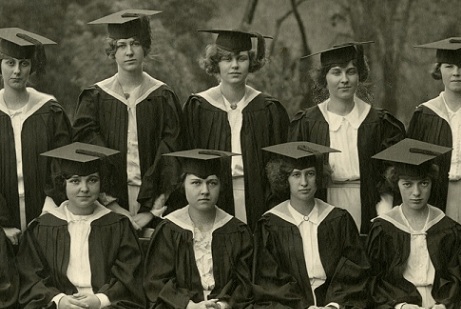 Many graduates of the Mount Vernon Seminary continued their education at four year colleges, which was not common practice for women at the time and is a testament to the solid education they received while attending the Seminary. After many years of growth and success, new president Jean Dean Cole decided to expand Mount Vernon Seminary’s program to include a two year junior college. This allowed students to remain at Mount Vernon for six years, receiving a strong foundation for all future academic pursuits. Throughout its history, Mount Vernon was forced to change locations several times to accommodate its growing student body. In 1944, Mount Vernon purchased property on Foxhall Road, the site of the current GW Mount Vernon Campus, and remained at this location for the duration of its operation. Many of the buildings that are part of current campus operations were built for the Mount Vernon Seminary and College. 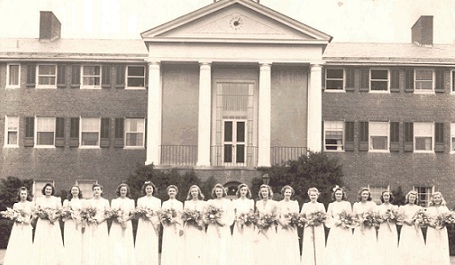 During the social changes of the 1960’s, the Mount Vernon Junior College recognized a need to adapt to the changes in higher education for women. Mount Vernon expanded its academic offerings and developed new majors in areas such as government and politics, international relations and fine arts, while phasing out vocational programs such as home economics and secretarial studies. During this same period, the Seminary faced financial strains despite its strong reputation as an academically rigorous private institution. This led to the closure of the Seminary in 1965 and a continued focus on building up the higher education curriculum at the newly renamed Mount Vernon College. In 1973, Mount Vernon College began awarding Bachelor of Arts degrees in order to meet the educational needs of contemporary women. However, the college began to face significant financial struggles. Mount Vernon was dedicated to remaining a women’s college, but faced declining enrollment due to the proliferation of coeducational institutions during that period. Despite major institutional and administrative changes and the addition of new campus resources throughout the 80’s and 90’s, Mount Vernon College could not operate as a women’s institution and remain solvent which ultimately led to the closure of the school. In 1997, Mount Vernon College announced plans to close as an independent institution and affiliate the 121-year-old women's college with the George Washington University. In 1999, the last Mount Vernon College class graduated and on June 30 the campus officially became the George Washington University at Mount Vernon College. As a part of the affiliation between the two schools, the Elizabeth J. Somers Women’s Leadership Program (WLP) was established to continue Mrs. Somers vision of education for women. Every year, a group of freshmen women are selected to take part in this living and learning community that focuses on giving young women the tools they need to become effective future leaders.